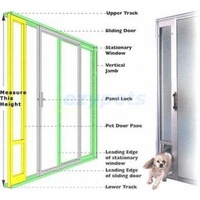 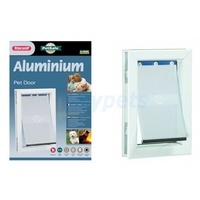 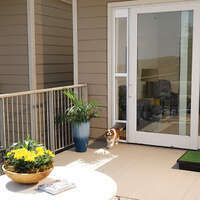 Simple to use Aluminum pet patio door with tempered glass panel. 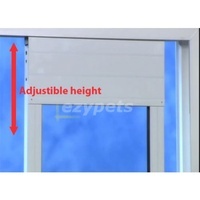 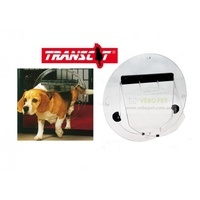 Comes in 3 different sizes to suit a wide range of pets. If you living in a rental home where you cannot cut a hole in the door or window, or if you are planning to move in the near future, the PetSafe Patio Pet Door can be an excellent option for you! 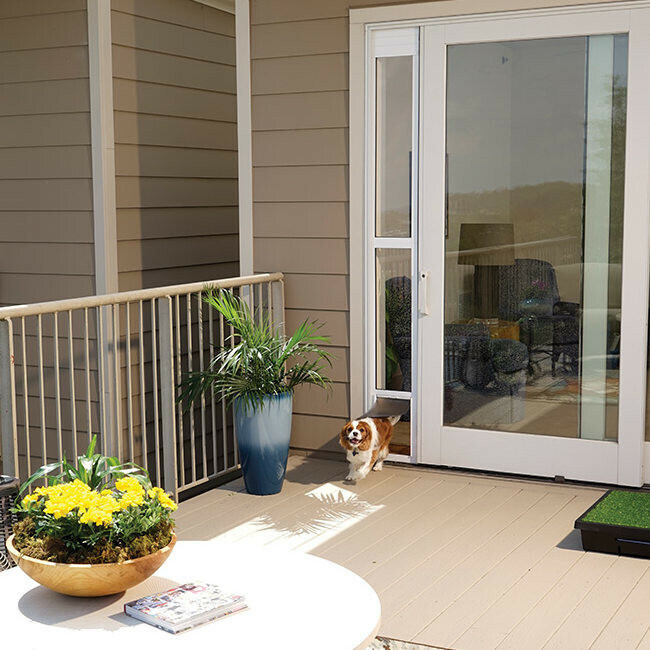 With an adjustible height (1.95m to 2.06m) that fits most Australian homes with glass sliding screen doors, this pet door virtually requires no installation, that is no cutting, no drilling, simply insert into door frame and it's ready for use! We are an authorised PetSafe reseller in Australia, which means your purchase is covered by PetSafe's liftetime warranty! 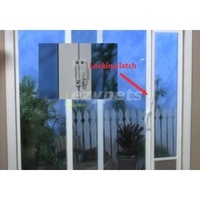 Watched out for ones that are NOT sold by an authorised reseller which does not come with any warranty. 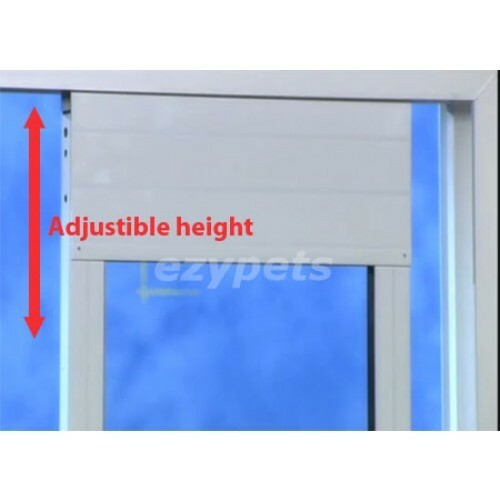 *Weight guide is approxiamte only. 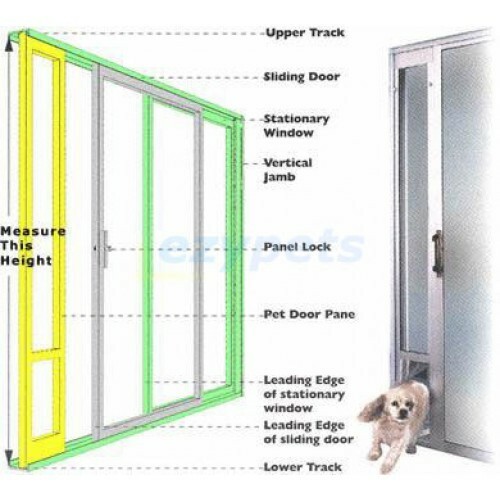 It is recommend that you cut a hole on a piece of cardboard using the lap dimensions provided below and get your dog to walk through it. 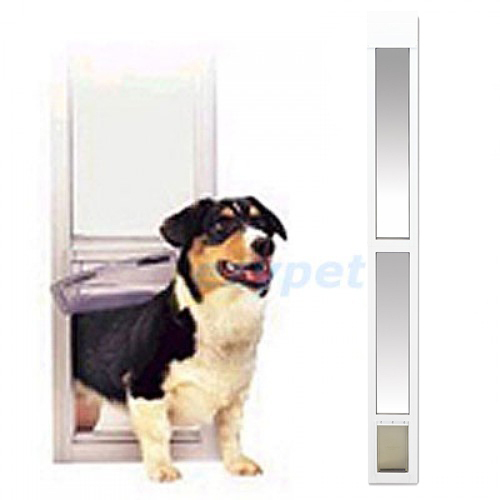 Please allow extra space if your dog is still growing.